19 September 2018 - Annual Funding Event. We welcome applications from all over Australia. If you need assistance with travel or accommodation costs, please email us. We may be able to provide assistance to a limited number of applicants. We can't wait to see these Kingdom initiatives flourish. The FORM (theological formation) category is for organisations or initiatives that are seeking to reorient people to Christ to be formed by Him. Ministry and mission work fits here, as well as projects in the broad areas of theological education and formation. We’re looking to hear from women who are leading innovative initiatives to point people to Jesus and build them up in their faith and imitation of Him. Tell us about the people you are passionate about doing this for and how you’re doing it. The DO (mercy & justice ministries or mental health & pastoral care) category is for organisations or initiatives that seek to do justice and mercy, expressing God’s character to the vulnerable and oppressed by tackling poverty, exclusion and violence. This category also encompasses projects working with an applied theology of ministry, including, for example, in areas such as mental health and pastoral care. We’re looking to hear from women leading innovative initiatives to inspire faith in action. Tell us who you are serving and how you’re doing it. In addition to other cash prizes, the three category winners of FORM, ENGAGE and DO at the Annual Funding Event will become part of the 2019 cohort of The Hub at ADM. 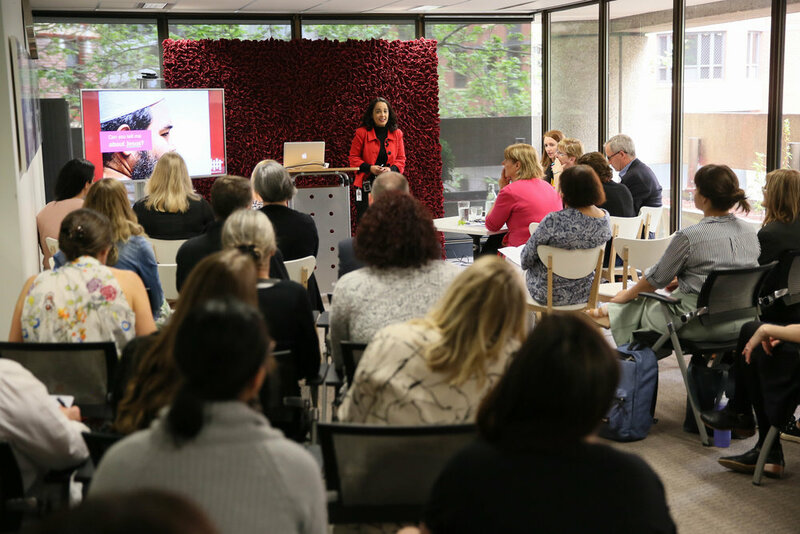 In 2019, the Hub will be an invitation-only mentoring program designed to enable entrepreneurial Christian women to take their initiatives to the next level. Across the year, the Hub cohort will gather 3 to 4 times for mentoring events, for which participants’ travel and accommodation will be covered. Exceptional lead coaches and mentors will join the Hub cohort at these events, providing personally tailored professional development and opportunities for each woman’s project. Hub participants in 2019 will also be matched with a mentor with whom they will meet monthly over phone. And, like ADM Fellows, Hub participants will receive free, priority access to ADM’s Engage program.